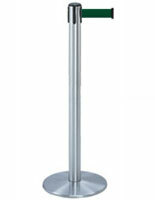 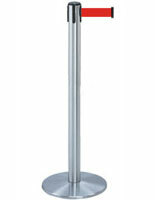 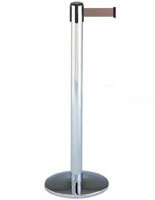 Crowd Control Stanchions - These crowd control stanchions have a satin chrome finish. 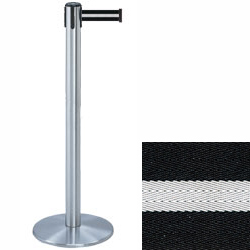 This crowd control stanchion has a 7 1/2 foot retractable black belt with white stripe. 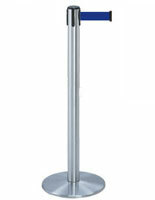 The crowd control stanchions measures 38" tall, 13 1/2" diameter base, and weighs 24 lbs., the belt is 2" wide.